I bought this from audiogon a few months ago, I was really excited about it, as it was my first high-end phono stage. I had used QED DIsc Saver, Creek, Project, and NAD before and I thought that NAD PP1 was not too bad, nor was the QED. Anyways, this Lehmann arrives, I plug it in, it sounded really boring, nothing exciting, even after leaving it on for over 72 hours, it sounded same. I never left the seller any feedback, I was not happy with the quality of sound the cube offered, it was not sellers fault, but that is what happens, if someone is not happy with a product, they do not leave seller any feedback. Anyways, I sold it after 3 months or so, and during this time, I did not listen to it that much. Once it was gone, I was very happy. The buyer, never left me any feedback, just figure this out as to why? So Mr.(you know who you are), unfortunately, this cube is not as great sounding as you reviewed it many times in your magazine. What a disappointment, and so was the person I sold it to who never left me any feedback . When someone is happy with a product they leave you a great feedback without any delay. To make a long story short, stay away from this and save your money for something better, and possibly cheaper, much cheaper. I am not going to tell you which one, I will be bombarded with all kinds of email. I have that cheap one, just a quick note, and it sounds way better then this black cube. 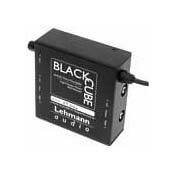 The price is less then 10% of what you will pay for Lehmann Black Cube. Again, as far is this Black Cube is concern, stay away. Whatever you choose to get, always try it at home and that applies to any audio component. I bought my Lehmann Black Cube Linear headphone amp to use with my iRiver IMP 400 portable CD player and Etymotic 4S earphones, in a car. I also use it with my home CD player a Nad 240. This is a very good CDD player - best for the money and the newer 242 offers better capacitors with some slight sound improvement. With this combo off Etymotic/Lehmann/NAD I heard inner detail, lightening fast transients, clearness of tones, and a natural timbre that was magical on a well recorded CD. The Lehman is the best headphone amp for under $1000 and competes favorably with any headphone amp regardles of price. The car set up requires the use of an inverter that puts out 1 amp or more of 110 Voltage on a continuous basis - I paid $20 for mine. The Etymotic 4S earphones reduce ambient noise by about 24 DB and thus are perfect for cars. They are small and can't be readily seen from outside the car in case it is illegal to use them. Using earphones is no more danger relative to listening to a good car system turned up to a satisfying sound level - you drive by sight and not sound in either case. The car system is really great - the best sound possible in a car. The homw system is even better though the sound quality of the iRiver is not far behind that of the NAD. The Lehmann is the heart of the system and is a truly remarkable discrete zero global feedback Class A output amp that serves also as a single input pre-amp. You could use the sytem above without the Lehmann amp if you use the Etymotic 4P instead of 4S earphones, since the 4Ps are more efficient and the external amp is less necessary. The sound will be fine though not as good as with the Lehmann. This is easy - The standard Cube is average. With the PWX power supply, it leads it''s price class. I have been using the Lehmann Black Cube for a while. As much as I tried to convince myself that it was a great phone stage, I always found that the bass was a little lacking (when comparing to the sound coming out of my CD setup). The sound stage was a little thin (front to back). It got to a point when I even second-guessed my analogue setup, which consists of a VPI Aries turntable, the 10" JMW tonearm, and a Goldring Elite (MC) cartridge. While this setup is not astronomically priced, it is not too shabby either. I do expect that the sound to be better than my digital setup, which is basically a SONY 7700 DVD player connected to the Parasound DAC 2000. Then comes the Lehmann Audio PWX Power Supply upgrade for the Black Cube. I took a chance to have my unit upgraded, and, oh boy, what an improvement!!!! I am now in analogue heaven. All of my previous complaints about the Black Cube are gone. What I got is a glorious sound, which is what I expected from the Black Cube in the first place. If you already like the Black Cube, you should do yourself a favor to have the power supply upgraded. If you are thinking of buying a Black Cube, get the SE version, which includes the PWX power supply. Somehow, I am convinced that the Black Cube should have had the PWX power supply to start with. Why bother with the standard version??? I have a C-J PV10A preamp, Well-Tempered classic turntable, Grado platinum cartridge, Hafler 9300 thx amplifier, and Platinum Solo speakers. I listen almost exclusively to records. I own about 3,000 albums and listen to 10-20 albums per week (mostly jazz). I am happy with my system, but suspect the noisy phono section of the C-J is limiting detail. The C-J is definitely only for MM or high output MC. After reading the buzz about the cube, I ordered the new improved version from Music Direct. I liked the loading flexibility, and the ability to drive MC and MM - I hope to upgrade to a better cartridge in the future. My initial impressions were favorable: better clarity and detail, along with improved imaging. I did have to turn up the preamp higher than usual (an extra eighth of a turn) with the cube in the system. I used the cube for three weeks. I noticed after a week or so that the bass impact was noticably reduced with the cube in the system. Bass guitars, both electric and acoustic, lacked the heft that the C-J provided. Bass lines in general were harder to follow. Taking the cube back out of the system restored the bass. Overall, the improvements were not worth the tradeoff to me. I ended up sending the unit back. I felt a sense of loss when I returned it, because it was an improvement in most areas, and just wondered if I had gotten a defective one somehow. It certainly didn't sound broke in any other area. No review I have read has mentioned anything about a lack of bass. It would have been better in this case to work with a dealer to verify the problem was in the black cube. Music Direct is OK when everything goes the right way. I am not sure what to do next, probably look for a used ARC PH-3. Clean, natural sound, good bass. Little box that some times is difficult to place, bacause the RCA's cable in and outs. Some times is difficult to get a opitimum gain, dependig cartridge's output. This is one of the most musical and most notable upgrades for my audio systems. The first Black Cube that I buy substitute the built in phono preamp of my Adcom preamp, and the improvement in sound was very noticeable since the begining. When the unit brake up, the sond was better instead. I try with three different Cartridges (Clearaudio Arum Beta, Benz-Micro's LO and Glider) and with all of them the sound was very nice, full bodied, and better than CD's sound. I have a little problem with the gain adjustement, my Glider M2 is medium aoutput (0.9mV), if I put the Black Cube in lo gain, I have to go upt with the volume control of the pre, however if I put the gain in hi-gain, the effect is all the contrary, to much output with a little turn of the volume control. I got better results with low output Cartridge-hi gain adjustment, and hi output catrridge (2.4mv)-low gain adjustment. I have no experienced with other phono preamps, however as an upgrade from ordinary built in phono preamps, the result in sound is very a noticeable improvment. Cables: Interconect by Audioquest, Speaker by Audioquest (Forest and Indigo) and Kimber (4TC and Monocle XL). Turntables: Rega Planar 3 and 25 upgraded with VTA Easy Riser tools and WBT's RCA plugs. None, only phono preamps built in preamps. I was concerned because my vinyl setup (LP12/Ittok LVII/Vahalla/Benz Micro Ref) wasn't sounding as good as my digital (Rotel 965BX/Wadia 12) and suspected my preamp's (McCormack ALD-1) phono section could be the problem. I decided to try the "Cube" because of price, size and recent review in Stereophile. What a suprise! I've been missing alot of music. Soundstage, detail, timbre, liquidity, depth ... realism! Not from audiophile pressings mind you, but from albums I had always felt were mediocre. All types too, blues, jazz, pop, and classical. This is from right out of the box, supposedly it gets better after a week of burn in. Try it! Having upgraded from an Onkyo TSV909PRO receiver to an Act3 preamp I wanted to see what a good phono section would do in comparison driving an Acurus 200x3 amp and Martin Logan Quests. Using the Onkyo receiver driving the Acurus amp and ML's I tried a Creek mm phono stage, an EAR phono stage, an Acoustech phono stage and the Lehman Black Box. The Box has it over all of them! and totally kicked the Onkyo phono section - I am hearing things from admittedly down level turntable and AT2214 cartridge than I thought possible! I borrowed a friends' Rega Planar 3 with a Goldring cartridge and ran the gamut again with the same results (setting up the phono stages for the right cartride prameters), and noticed even more of a difference between the Black Bopx and the rest. I can't wait to get new turntable and cartridge now.! I will rate this five stars at the price - it beat other more expensive (one double the price) gear. I had a "chance" to audition a Black Cube in my system when my Audio Research SP10 MkII preamp temporarily went belly up (The SP10 is a full function tube preamp from years back). After hearing all the raves regarding the Black Cube I decided that it would make sense to acquire a backup preamp. On first power-up I was somewhat impressed by the quality of the sound from the Cube, though there were weak points (noise, conjestion at high modulation). After the burn-in period I was still not ultimately impressed. This motivated me to fix the SP10 (turned out to be the fuse). The SP10 (just retubed) TOTALLY TROUNCES the Black Cube for LP playback in my system. Maybe my Cube is broken (it was purchased new), or maybe the phono cartridge I use is not a good match to the Cube (an Ortofon X5-MC, a high output moving coil cartridge). Or maybe the reviewers giving the rave reviews just hear differently than I do. In my system the Audio Research sounds WONDERFUL. The Black Cube sounds OK, but its not the real thing. Shortcomings: Somewhat silibant, somewhat grainy, not as quiet as the SP10, tends to become conjested at high groove modulations (losing inner detail on full orchestra cresendos). I have always been very critical of even the very costly high end preamps, so what I am saying may not be so inconsistent with other reviews. If you want the best and can afford it, I recommend personal audition of a broad range of candidate products. And if you are happy with what you have, then any change is a risk unless you audition first. Let's be fair, at up to 2-3 times its price point, it is probably the BEST standalone phono available. Features wise, it has all the musically important elements - low/high gain setting, variable loading, and a separate power supply. Using it with a low output MC is probably the most difficult test for any phono (my MC is one of those with a 0.25mv output).The thing that impressed me most was the rythmic drive and dynamics of the unit. I was getting worried when my CD setup (CEC TL2 & Meridian 566DAC) was comparable with the LP playback until the Black Cube went into the system. The background noise fell and my music enjoyment went thru the roof.